I am of a vintage that was shaped by Van Halen’s album (actually a cassette for me) 1984. With Jump, Panama, and Hot for Teacher (a video that joins “Hungry Like the Wolf” in my early teen pantheon), this was a truly epic record – highlighted by David Lee Roth’s bad boy caterwauling. And then, he screwed it up. Went solo. Recorded novelty hits like Just a Gigolo and California Girls, which were only slightly more legit than Weird Al Yankovic shlock. 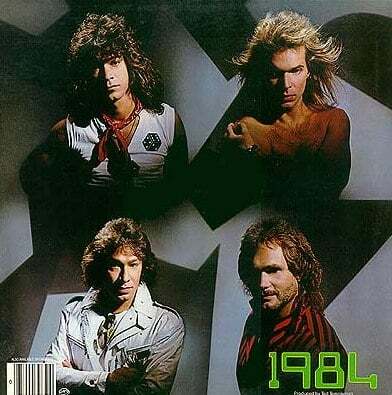 From 1985 until the inevitable bittersweet reunion tour in 2007, both Roth and his former band mates suffered, never recapturing their former glory (despite the yeoman efforts of Sammy Hagar). Ultimately, it was proven that David Lee Roth was better as part of a group, than he was a solo artist. And the same is true of your Internet marketing efforts. Many (and perhaps even most) agencies I talk to are trying to add digital marketing services to their capabilities by hiring their own David Lee Roth. A guru. A turtle-necked Web geek that can do it all. Don’t make that mistake. Here are 3 reasons why the one man show routine doesn’t work. Digital marketing is a paradigm and a platform, not a job function. You can’t hire somebody who does “digital marketing” the same way you hire a copywriter or an account executive, or an art director. The field of Internet marketing is now far too broad and the nuances too numerous for one person to be able to cover all the bases on a practitioner level. There is no way I could actually execute on the full array of tactics the way I did in 1995-2002 when the variety of tactics was semi-graspable. The biggest mistake agencies (and clients) make is believing that the same guru that is designing and/or programming Web sites on your behalf can also handle the marketing of those Web sites. They cannot. The two skill sets are almost opposites. Web design is a project-based, creative, inward-facing, technology-driven process. Internet marketing is an ongoing, methodical, outward-facing, relationship and message-driven process. Other than a little initial search optimization on recently completed sites, Web designers are not doing Internet marketing. I very much believe that eventually we won’t have digital marketing departments or even digital marketing agencies. As digital (Web, mobile, digital outdoor, etc.) becomes fully integrated into the lives of a majority of the developed world, “digital marketing” will be a component of every campaign. This convergence is already happening. Public relations and search engine optimization are blending. The growing use of video advertising online. Direct mail campaigns that use personal URLs that lead to individualized landing pages – are those “traditional” tactics, or “digital” tactics? Eventually, digital won’t be given the special treatment the way it is today. You wouldn’t have a “radio department” and eventually you won’t have a “digital department” either. If digital will be a part of everything, isn’t it imperative that everyone in your agency (or in-house marketing department) understand digital marketing to some degree? If you have a guru, it gives EVERY other member of your team a built-in excuse (that you provided) to not have to get up to speed on digital marketing. If you hire a guru to handle all of your digital marketing and centralize that understanding, it creates an operational bottleneck in your organization. It’s not even a hub and spoke model. It’s just hub. Every brainstorm that requires digital thinking requires the guru. Every client meeting. Every pitch. When the guru is sick, the digital effort is grounded. 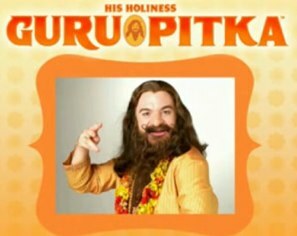 Plus, how many accounts can the guru work on competently? It’s an extremely inefficient way to manage your personnel. Further, since the guru gets to work on all the big accounts (because all the big accounts will want digital marketing), the guru develops quite a resume. Consequently, the guru will be endlessly recruited (perhaps even by your own clients). Eventually, the guru will leave for another opportunity that doesn’t require the ball juggling of an agency, and may include free lunch, stock options, and a big office. Trust me. The guru will leave. And then what? When the sum total of your organization’s digital marketing expertise walks out the door, how do you keep providing services to current clients, much less attract new ones? Typically, agencies faced with this scenario try to find Guru 2.0 which of course just perpetuates the problem. I know fully embracing and integrating digital marketing is hard. If it wasn’t, I wouldn’t have started a consulting company to assist. The pull of hiring one person to make the pain go away is strong. But don’t fall for it. If your staff is bright enough to work for you, they’re bright enough to figure out part of the digital marketing arsenal. Do you agree? What are your cautionary tales or success stories about Internet marketing gurus? I’d love to hear your comments. Let’s discuss.